This look at the top 5 heat pump system will list split systems featuring a heat pump that provides both heating and cooling. Some of them are dual fuel systems which means that they can be installed along with a gas furnace instead of an air handler. Homeowners with dual fuel systems, also known as hybrid heat systems, usually program the furnace to take over heating duties when outside temperatures fall into the mid-forties. The top 5 heat pumps combine high efficiency with features that produce greater indoor comfort. Here are the best heat pump systems currently on the market. 1. Maytag M1200: This heat pump system is very efficient, with a 22 SEER rating for cooling and a 10.0 HSPF rating for heating. Combined with an M1200 Series air handler or furnace, you’ll enjoy unsurpassed indoor comfort as well as utility bills that are significantly lower. The key to the efficiency and home comfort is an award-winning and innovative modulating rotary compressor that only functions at the level required to keep indoor temperatures precisely balanced. You won’t notice any temperature fluctuation with the Maytag M1200 heat pump system, but you will notice less humidity when cooling and better air quality all year long. The iQ Drive thermostat and the 12-year warranty round out an excellent package. 2. Dave Lennox Signature Collection XP21: This dual fuel heat pump system works very well where summers are hot and winters are cold. It combats extreme temperatures with 19.0 SEER cooling and 9.5 HSPF heating. Plus, it is a dual fuel system that can be matched with a Lennox Signature gas furnace for even better home comfort and energy savings. The 2-stage compressor and the IComfort control optimize indoor comfort, and the SunSource solar-ready design accepts solar modules to further reduce energy use. 3. Carrier Infinity Series 25HNA9: It would be impossible to list the top 5 heat pump systems without including this one. Carrier leads the industry in climate control, produced through the award-winning Infinity touchscreen, programmable control with wi-fi connectivity and a 5-day weather forecast. Two-stage operation coupled with a variable-speed blower motor makes every home comfortable. This is a dual fuel model – Carrier calls it Hybrid Heat – so you’ve got options no matter what part of the country you live in. 4. Trane XL20i: Very similar to the unit above, it offers the same levels of efficiency and is equipped with 2 Climatuff compressors. They are highly rated in consumer heat pump reviews and deliver a very comfortable indoor climate in all weather conditions. One enhanced feature of the Trane XL20i heat pump system is the TAM module that allows you to program the system remotely using a smart phone. Turning the system down while you are away lowers energy bills significantly; turning the system back up on your way home means it is always comfortable when you get there. 5. Amana ASZC18: The Amana ASZC18 heat pump system makes the list with excellent performance and one of the best warranties in the business. If the compressor every fails the original owner, Amana will replace the entire heat pump. The system is driven by a 2-stage scroll compressor made by Copeland, the highest rated compressor in HVAC reviews. A long list of performance features includes SmartShift technology and pressure switches that protect the compressor, 2-speed condenser fan for quieter operation, a high-capacity sound muffler and 18 SEER / 9.5 HSPF efficiency. You can’t go wrong with any of these systems if you are in the market for high-efficiency, high-performance heat pump systems. 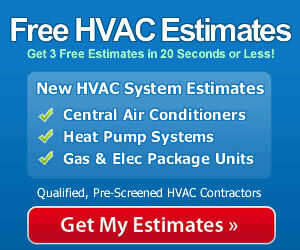 For heat pump prices, see individual heat pump reviews for these models on this site. And be sure to have the heat pump system you choose installed by a qualified contractor so that you can get the best performance, efficiency and durability. All of the top 5 heat pump systems are Energy Star products and they use environmentally safer refrigerant and are loaded with home comfort features. If you live in a mild or cool climates and want to save energy on equipment costs, look at less efficient heat pumps from these brands, but heat pumps that are duel fuel. For the lowest energy use, the greenest technology, and the most comfortable home, any of these top 5 heat pump systems will serve you very well.